A few years ago, I went for a hike with Brother Paul Quenon at the Abbey of Gethsemani. There was snow on the ground, and I wanted to take some winter pictures of Thomas Merton’s hermitage, a place normally not accessible to the public. On this wintry day, I hoped Brother Paul, an accomplished photographer, could take me to the hermitage and teach me something about photography. He ended up teaching me something more important. He taught me what it means truly to see, and about what it could mean to look at the world as a contemplative. In Praise of the Useless Lifeby Paul Quenon, O.C.S.O. Throughout our entire hike Brother Paul pointed things out to me that I simply hadn’t noticed, or hadn't bothered to notice, consumed as I was in my own thoughts and preoccupations. He drew my attention to different birds in the trees (which he could name just based on their song), to the plants still growing in the cold, to the color of the sky and to what he thought was the spectacular way the sun was shining through the trees and off the snow. When we arrived at the clearing in front of Merton's hermitage, we both stopped to take a picture, I with a good camera I had borrowed and Brother Paul with the little point-and-shoot he carries in his habit. We took pictures from the same spot at the same time, but when I looked at Brother Paul's picture in comparison to mine, I was struck by my poverty of vision. Our photos were of the same object, but Brother Paul's photo showed me that he didn’t just notice the way the sky reflected off the windows or the way the sun's light streaked across the door frame. He saw the totality of the place, its simple but profound beauty, and so he framed each photograph in a way to capture this. I came away realizing that he was fully present to that beauty in a way that I wasn't. Brother Paul describes the monastic life as one that is “radically a life of play,” lived in gratitude simply for the sake of being. This is what makes Brother Paul such a good photographer. This is what makes him a great teacher of the spiritual life. Brother Paul has been a monk at the Abbey of Gethsemani for 60 years, the first years of which were spent under the guidance of his novice master, Thomas Merton. He is a respected poet who has published six books of poetry. He is a serious thinker and reader; I once found him going through Augustine’s notoriously complicated De Trinitate in the original Latin as a devotional exercise. And, as one might expect of a monk in a contemplative order, he devotes long hours to meditation and lectio divina. He is also playful and even mischievous in a way that one might not expect a monk to be. A few years ago I took a couple of friends to meet Brother Paul at Merton’s hermitage where he was on retreat. As we sat on the porch of the hermitage talking about poetry, Brother Paul suddenly looked at me with a twinkle in his eye. “I think we should climb some trees,” he said, and before we knew it, he was halfway up a towering oak with the rest of us following after him. It is Brother Paul’s contemplative mischievousness that is most clearly on display in his newly published book, In Praise of the Useless Life: A Monk’s Memoir. This is not, strictly speaking, an autobiography, though there are autobiographical tidbits sprinkled throughout. It is more a series of vignettes, snapshots, of life as a Trappist monk from the perspective of someone who has devoted 60 years to this life. Western society is one that increasingly devalues the importance of leisure, the kind of leisure that is open to a contemplation that gives meaning to existence. Brother Paul readily admits that he often appears to be playing outside the rules. When one of my students asked him about what he found the most difficult part of monastic life, he immediately responded, “Obedience.” But in this Brother Paul takes after his novice master, Thomas Merton, another monk who understood the playful seriousness of a life devoted to God. As Josef Pieper argued more than 60 years ago in his book on leisure, Western society is one that increasingly devalues the importance of leisure, the kind of leisure that is open to a contemplation that gives meaning to existence. We have instead structured our lives around “useful” work, giving little or no time to the silence required for contemplation. From the standpoint of a culture obsessed with work, the monastic life indeed seems meaningless. As the title of his book demonstrates, Brother Paul understands this well. “I am on permanent vacation,” he writes at the beginning, and this vacation happens to be his vocation. Of course, Brother Paul’s definition of “vacation” differs radically from our own. Few outside the monastery would look at a life of prayer and work—in which monks rise at 3:00 in the morning, pray seven times a day and devote many hours to manual labor—and see the idleness we so often associate with being on vacation. But Br. Paul is implicitly operating from Pieper’s understanding of leisure, which is an essentially monastic understanding. To be leisurely as a monk is not to sit back and relax into the idleness of not working. Rather, monastic leisure is tied to silence and contemplation, both of which seem useless in a culture dominated by work. In his title and throughout the book, Brother Paul gently pushes back against our cultural preoccupation with “usefulness” by giving us glimpses of contemplative play. Monastic leisure is tied to silence and contemplation, both of which seem useless in a culture dominated by work. Brother Paul’s vocation as a contemplative monk revolves around photography and poetry too. The silence of the monastery is, he writes, conducive to seeing well, as one shifts attention from ears to eyes. Because of this, photography can become a form of contemplation as the camera trains the mind how to see the beauty of that which one might otherwise miss. In that sense, prayer and silence inform and give shape to Brother Paul’s photography. Prayer also nurtures his poetry, both the haikus he composes daily after periods of meditation as well as the more expansive poems he writes (he has published six books of poetry and another is in the pipeline). Two chapters in the book are devoted to the interplay between prayer and poetry. 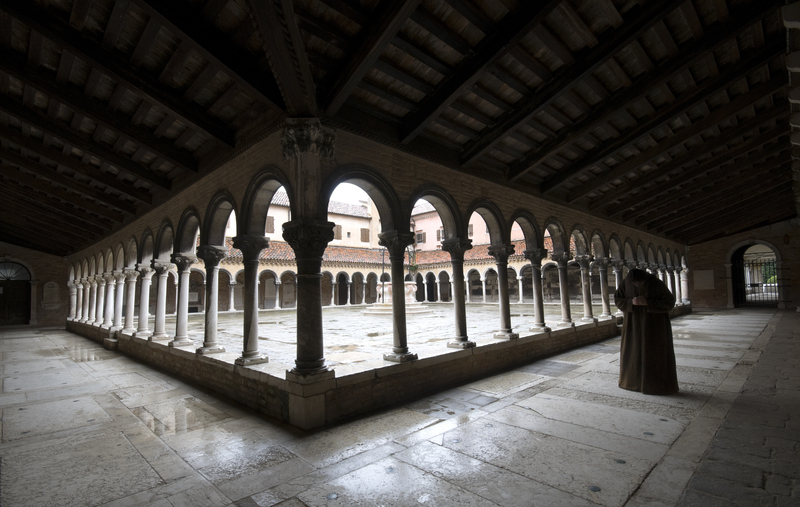 In addition to giving us glimpses of his unique expression of monastic life, Brother Paul also writes about some of the monks he has known over the years, each of whom embodied the beauty of contemplative play. There was Father Chrysogonus Waddell, a renowned composer who lived as a part-time hermit and would on occasion stage an organ recital with another monk in an empty church simply for the sheer joy of playing. There was Father Matthew Kelty, who claimed one of the monastery’s pump houses as a hermitage and transformed the interior with walls and a mirror so that anyone who entered received a spiritual lesson on the complexity of the solitary life before finally reaching a holy space in the hermitage containing an icon of Christ as well as Father Matthew’s guitar and ubiquitous cowboy hat. And, of course, there was Thomas Merton, known to Brother Paul and the other monks as Uncle Louie. In a chapter on Merton as novice master, Brother Paul gives us unique insight into what it was like to have the famed monk as a teacher and spiritual director. For those of us who know Merton only through his writing, Brother Paul’s descriptions intrigue: from Merton’s reaction to Brother Paul’s attempt to grow sideburns to the way in which Merton directed the novices through a kind of non-direction that gave them space to develop at their own pace. Brother Paul also devotes a chapter to a moving account of how he and others at the monastery reacted to the news of Merton’s sudden death in 1968 and the agonizing wait for his body to return from Thailand. In Praise of the Useless Life isn’t a guidebook on how to be a contemplative. Yet through the book readers can get glimpses of the beauty and playfulness of the contemplative life, a life that may be “useless,” but by virtue of its uselessness, is all the more meaningful. And by giving readers these glimpses, Brother Paul may just inspire them to make space for the kind of silence and presence that opens up to a silent land of play and wonder. For the past twenty years, missing only once, I've done a weekend retreat at this Trappist Abbey. While there, my routine takes me across the road on a walk to the Knob Cross, from which on its perch I can see the Abbey's grounds through the fall bared trees. It is pleasant to sit there. When I go again early this November, I'll be more on the lookout to see that which is revealed before me on that walk and hasten not. Thank you Gregory Hillis. This article also appeared in print, under the headline "A life worth living," in the July 23, 2018 issue.